I have a new scrapbook layout to share with you today! 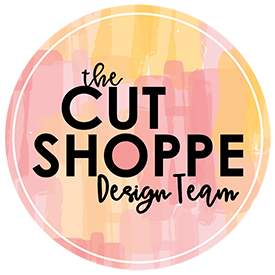 If you follow my blog or Instagram you know that I’m not a chronological scrapbooker. I tend to scrapbook however my mood strikes me. I’m usually inspired by the papers, embellishments or even a cut file and then will find photos to fit those things. That is how this layout came to be! I found a cut file from Scrapbook Nerd and knew I had the perfect photo that I had been wanting to document! 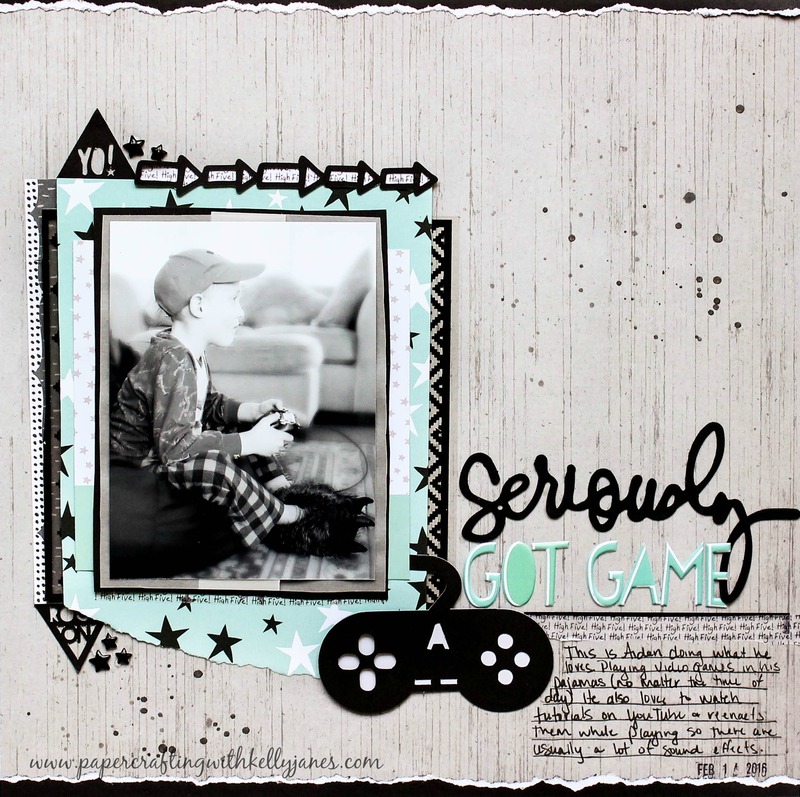 This layout consists mainly from a mix of previous kits from Hip Kit Club, including a majority of the papers, the “Seriously” Heidi Swapp piece that I painted with black acrylic paint, the “Got Game” Pink Fresh Alpha Stickers, and the “High Five” washi tape. I used Black Cardstock from CTMH for the cut file pieces (the two triangles positioned around the photos, the black arrows, and also the gaming remote). The black stars are actually White Enamel Stars from CTMH that I colored using my Black ShinHan™ Touch Twin™ Marker. I love that alcohol markers can be used to customize those types of embellishments!! This layout was a lot of fun to put together! !